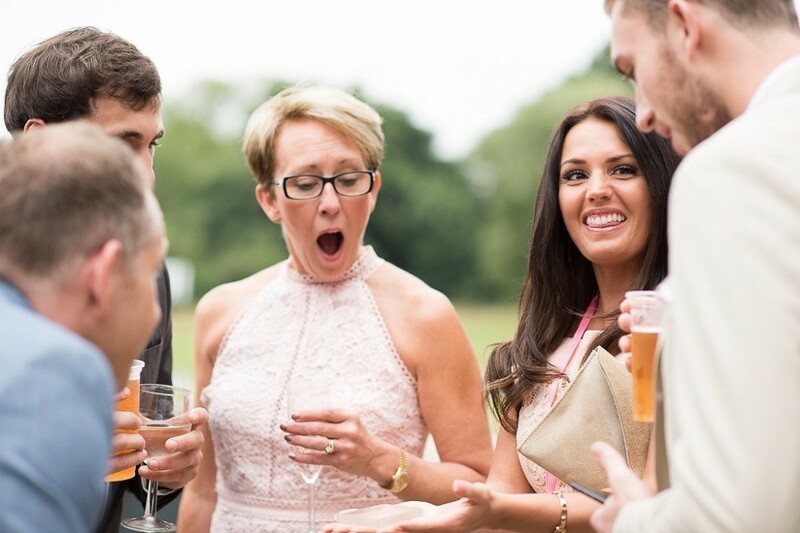 Hiring a Wedding Magician for your wedding drinks reception includes the magician approaching your guests in small groups performing amazing & visual close-up magic often with cards, ropes, coins, rings & many more items...right under their noses! You may also wish to enquire about your wedding Magician performing at your wedding drinks reception, performing around the tables in between courses. Lastly, your evening reception can be remembered with shocking and memorable magic tricks, effects & mini illusions by having the magician stroll around performing to your guests at the bar & in small groups. View our Wedding Magician profiles below to see their publicity including video examples and all show information, plus previous customer reviews! Find a Wedding Magician for hire near you in minutes! Option 1. Enter your event location below & contact a Wedding Magician directly! Option 2. Request multiple quotes from available Wedding Magicians Get Quotes! Option 3. Read information & advice on hiring Wedding Magicians Read Advice! Whether you are looking to hire a wedding magician in london, los angeles or any other location worldwide, hiring a magician to perform at a wedding has become a very popular choice with couples! What an excellent way to entertain guests and add 'a touch of magic' to make your special day even more memorable. Guests of all ages will be delighted to see tricks right up close, in front of their very eyes, leaving them astounded and impressed. There will be times during the wedding day that the newly wed couple are occupied with photo’s and other formalities. Booking a magician ensures that your guests aren’t left bored or unsure of what to do during this time. A magician can mix and mingle with guests and is a superb way to break the ice and get conversation flowing. Most evening receptions involve music and dancing - either having a live band or a DJ to get the party started and keep the dancefloor full. In addition to the party music you might want to book something special to complete the celebrations. A close-up magician is an affordable treat to have roaming around during the evening, delighting reception guests with a range of amazing magic tricks and can usually work happily in a busy, noisy room - or if required entertain guests in any quieter areas. Don't forget that you can also hire a children's entertainer to keep the younger guests happy. There is a wide selection of children's entertainment to choose from to keep them happy during the long day including magicians that specially tailor their magic show for kids. If you would like to read more information with tips and advice to help you choose and book a magician for a wedding please take a look at this helpful article and this to see how much it should cost. WANT TO RECEIVE A RANGE OF QUOTES FROM Wedding Magicians?